I’ve always had a very close relationship with libraries. When I was small (probably six or seven) my parents left me in the library, each thinking I was with the other. I was quite happy: the librarians knew me and kept an eye on me, and I sat and read until my horrified parents returned to collect their missing daughter. I still like to make them feel guilty about it, but actually it’s a happy memory: I spent a lot of time in Chesham Library when I was growing up, attending their summer holiday events,and going there every week to pick new books. I was reminded of the excitement the library offered me when I went with my small son to our local library in Bromsgrove last weekend. They have recently moved, and now have more space and a great, colourful children’s area, and it’s a delight for children – even those who can only read a few letters at the moment – to go and choose their own books. His excitement rubbed off on me (and his father), and we all spent some time browsing and choosing our books. Last year Edward did the summer holiday reading scheme, where children have to read 6 books over the holidays, and tell a librarian or volunteer about their favourite book, what happens in it and why they like it. Although I was reading the books to Edward, for him this was a crucial period, because suddenly the library became a place for him, somewhere meant for children, not a boring place where he trailed round after me. Of course nowadays there is the internet, so children are less likely to follow up their interests by going to the library and more likely to use a websearch. Nonetheless, there is no substitute for being able to curl up with a book, turning the pages, flicking through it as you find out more about a subject, or following the unfolding of a story – and I don’t think that appeal has gone away even in these days of e-learning. And what a library offers is the opportunity to browse, to consider your options without commitment, and that’s what the excitement is all about. You just never know what you’ll see as you explore the shelves, and consequently I currently have 9 library books on loan from several different libraries (I belong to 15 libraries, but that’s another matter – reading is part of my job!) The books I’ve borrowed include knitting books, poetry, fiction, myth, art and academic books. Although I’m all for buying books to support authors, I wouldn’t have bought any of them – but I might once I’ve read and loved them. And if they’re not what I wanted, I’ll return them none the worse off. So a library really is an invitation to learn something new, for free. The only constraints are how much you can carry home. been spending more and more time at the Birmingham Midland Institute library: this is a private library (though very reasonable to join) and is the sort of place you can just hang out, which is what I do most of the time (in fact I’m here so much they’ve put me on a committee). I bring my laptop and read, write, answer emails – all the things I could do elsewhere, but without the usual distractions. The Institute organises events, has a tea-room, and a members room where you can just read the papers over coffee, as well as exhibitions of art in the foyer. I’m currently sitting in the library working before I attend a course on web coding this evening. Last week I came to a theatre production here; in a few months’ time I’ll be giving a lecture on Gothic. This is perhaps the ideal concept of a library: where the arts and sciences and all kinds of learning are brought together and offered to anyone. It encourages the exploration of different ideas, fresh viewpoints, and the opportunity to learn something unexpected, as well as a comfortable place to study, and such a place is valuable. NB: Other libraries I love: Gladstone’s Library (picture above) – you can stay there! And they have open fires and great cake! 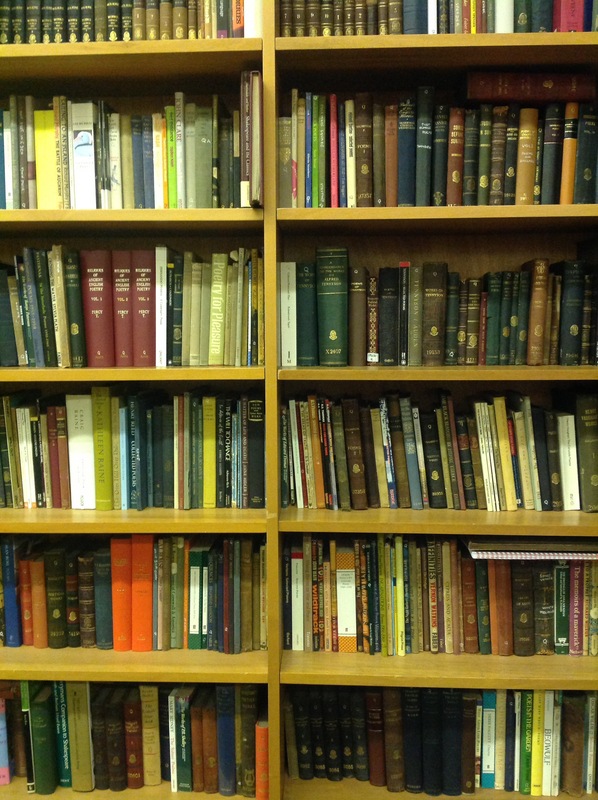 Dr Williams’s Library – lovely place, and I have fond memories of researching 19th century theology there. The Library of Birmingham – impressive building, which gets better the higher up you go! The Hive at Worcester – lovely place, child-friendly and helpful staff. Beautifully said; I consider myself extremely fortunate to live just a few minutes walk away from the Morrab Library. Thank you. You are very fortunate – I’m very jealous! I hope to be there in July, though! Librarians can really make a library, can’t they? I can think of worse things than being adopted by a librarian!